Efforts underway at the United Nations to integrate humanitarian assistance into the international military campaign against opponents of Somalia’s government will further threaten the safe delivery of independent and impartial aid to Somalis trapped in the ongoing war, the international medical humanitarian organisation Médecins Sans Frontières/Doctors Without Borders (MSF) warned today. “Humanitarian assistance must be driven purely by the actual needs of the population, not predicated upon any other agenda,” said Jerome Oberreit, MSF Secretary General. “Many Somalis continue to struggle to obtain the basic necessities for survival - food, health care, and protection from violence. Humanitarian assistance must remain a priority and it must remain completely independent of any political agenda." Large segments of the Somali population require basic assistance, many in active conflict areas and in zones controlled by armed groups, such as in south-central Somalia, underscoring the need for independent and impartial humanitarian aid. Access to food and adequate medical care is severely limited. “We’ve previously seen military stabilization or peacekeeping efforts integrating humanitarian aid as a tool to advance political and security objectives in Somalia, and in Afghanistan, Iraq, Angola, and Sierra Leone,” continued Oberreit. The United Nations Security Council is currently deliberating the future structure of the UN’s mission in Somalia. Under discussion is the possible inclusion of humanitarian assistance within the broader political and military agenda for Somalia. Such an approach in a country where the ability to provide relief is already severely compromised, could generate distrust of aid groups. 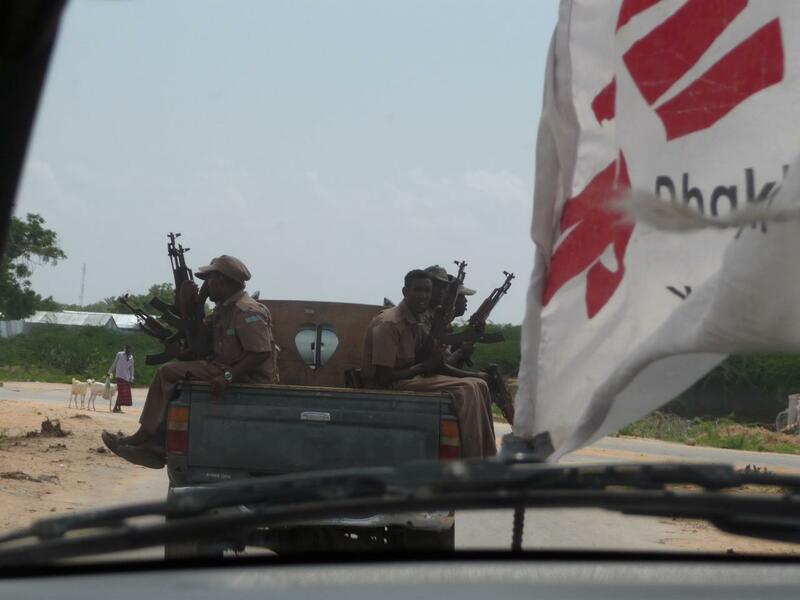 MSF has already curtailed its activities in Somalia due to security risks. In October 2011, two MSF aid workers, Montserrat Serra and Blanca Thiebaut, were abducted in the Dadaab refugee camp (Kenya) and taken to Somalia, where MSF believes they are still being held. Following the abduction and until the safe release of the two aid workers, MSF has limited its operations in Somalia to strictly life-saving emergency work. MSF has worked continuously in Somalia since 1991, and continues to provide lifesaving medical care to hundreds of thousands of Somalis in ten regions of the country, as well as in neighboring Kenya and Ethiopia. Over 1,400 staff, supported by approximately 100 people in Nairobi, provide a range of services, including free primary healthcare, malnutrition treatment, maternal health, surgery, response to epidemics like cholera or measles, immunization campaigns, water and relief supplies. During the first half of 2012, MSF treated nearly 30,000 severely malnourished children and vaccinated 75,000 against infectious diseases. MSF teams also assisted in over 7,300 deliveries and provided close to half a million medical consultations within its health facilities.